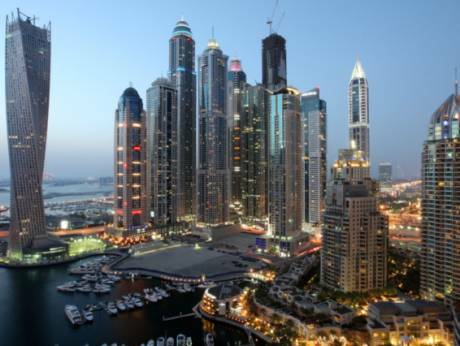 Dubai: Prospective buyers eyeing off-plan launches in Dubai are being spoiled for choice. Over the next few days, they have the option to choose a Dh285,000 studio at Dubai South (at The Pulse cluster) or opt for a Dh895,000 unit right at the heart of Downtown Dubai and “adjacent to the Canal”. If all goes well, this could well mark the beginning of a fairly upbeat off-plan launch activity during the fourth quarter. The Dh895,000 studios are part of the newly unveiled 29-storey Marquise Square development on Burj Khalifa Street, with the average launch price being set at Dh1,750 per square foot. It is being developed by SRG Holdings, whose real estate portfolio includes Burj Al Salam (housing the Sheraton Grand), Marina Heights and Al Salam Tower in Barsha Heights (formerly Tecom). “The Dh1,750 psf was always going to be our launch price … the current market situation did not influence it in any way,” said Adam Price, Managing Director of Select Property (Dubai and Singapore, which is handling all of the sales and marketing of Marquise Square. “This is a pricing that will offer capital growth for investors — we project by 35 per cent by Expo 2020. Interestingly, the high-rise has a dominant share set aside for studios — 237 of the 384 residences will answer this description. “The Downtown area has a chronically under-developed studio offering,” said Price. The one-bed apartments are tagged at Dh1.3 million and those of a three-bedroom format at Dh3.12 million. Completion is scheduled for Q4-2018. SRG Holdings could have other launches scheduled for next year, according to Price. Meanwhile, the market is gearing up for new launches along the 12-kilometre extension the Canal will wind through. Damac was one of the first to pitch a tower development and sales on that stretch. In time, this sure could develop into one of the priciest corridors in the city. A lot will depend on the exact number of plots fronting the Canal, with those obviously laying claim to a higher mark-up on the sales price. Dubai: Dubai’s developers have a chance to convince local and Gulf investors to keep their funds close to home rather than put these on London realty assets. A new survey suggests a good deal of uncertainty among Arab investors over whether they should remain committed to opportunities in London. Sixty per cent who took part in the survey think there will a negative impact on investing in real estate in the UK, according to the poll conducted by Ventures Middle East. And 42 per cent reckoned a negative impact on the value of the British currency versus the dollar and on the British economy overall. The survey was conducted in Arabic and carried out among 2,308 Arab respondents currently living in the UAE out of which 870 were UAE nationals.